Calling all armchair appraisers and Cumberfans! 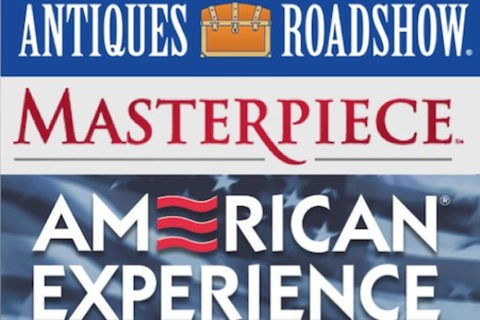 Find out how Antiques Roadshow, Masterpiece, American Experience and The World - some of public media's most popular TV and radio shows - create unique and sharable social media content with a fraction of the budget and staff of the for-profit networks. This panel feeds a combined 1.5 million fans on Facebook and Twitter every day. But how do you keep your brand on people's minds when you're not on the air year-round? How do you make Faberge interesting to someone who loves folk art? How do you promote Downton Abbey when you don't have the legal rights to use a photo of... oh wait, we can't use their name either. By now we know social media best practices: Post regularly! Show your personality! Engage with fans! We'll dig deeper than that. We want to bring you behind the curtain and share our tips for producing quality content on a public media budget. Use #WGBHSocial to send us questions! Hannah Auerbach is an Account Executive in national marketing and promotions for Antiques Roadshow on PBS. Hannah leads and manages all of Antiques Roadshow's social media accounts. Just shy of its 20th anniversary, the series is equal parts history lesson and treasure hunt and is watched by over 7 million fans a week and is PBS’ most-watched primetime series. During her time at WGBH, Hannah's direction with the Antiques Roadshow social media accounts has been highlighted by Twitter’s TV department, AOL.com, and AL.com. Hannah has a background in book publishing where she launched attention-grabbing traditional and social media campaigns for bestselling authors. She is a University of Massachusetts Amherst graduate and is MTEL certified to teach secondary English. Follow Antiques Roadshow at @RoadshowPBS and join the conversation using #AntiquesRoadshow. Molly Jacobs leads and manages American Experience's digital strategy and presence. For over five years, she has overseen the online efforts to promote and support American Experience documentary film content, both by creating unique websites for each film topic and by promoting content across the series' various social media outlets. During her tenure, the American Experience website has won one Webby Award and two Davey Awards for Television, and three W3 Awards for Education. Prior to working for American Experience, Molly was a documentary Field Producer and Associate Producer for eight years. She studied Russian Language at Georgetown University. Olivia Wong is a Senior Account Executive at WGBH National Marketing, responsible for publicity and brand strategy for the PBS MASTERPIECE television series, as well as launching and maintaining the series' social media presence since 2008. Prior to joining MASTERPIECE in 2004, Wong worked on numerous PBS series including American Experience, This Old House and NOVA. A graduate of Brown University, she is the co-recipient of a 2012 PR News Digital PR Award for Downton Abbey's Digital PR Campaign. Tory Starr will moderate this panel. Tory joined PRI's The World in September 2012 as the daily radio program's first social media producer, and leads the strategy and execution of the show's social properties. For over five years, Tory has led efforts at WGBH to navigate the quickly-changing world of social media and has pioneered a number of Foundation-wide initiatives to help employees master key social media skills. She has previously worked as the digital producer for WNYC's The Takeaway and for the history documentary series American Experience. Tory holds a BA in English and Classical Civilization from Colby College and a Master's in Journalism from Northeastern University. Follow her @torystarr3.